Potatoes in cinnamon rolls? Yes! I was a little girl when I first found out about potato dinner rolls. I was definitely skeptical, but once I got over my skepticism I found out that I love potato rolls! But I hadn’t tried a cinnamon potato roll before until recently. I wondered if the cinnamon roll could handle the potato. But it did and it was delicious! 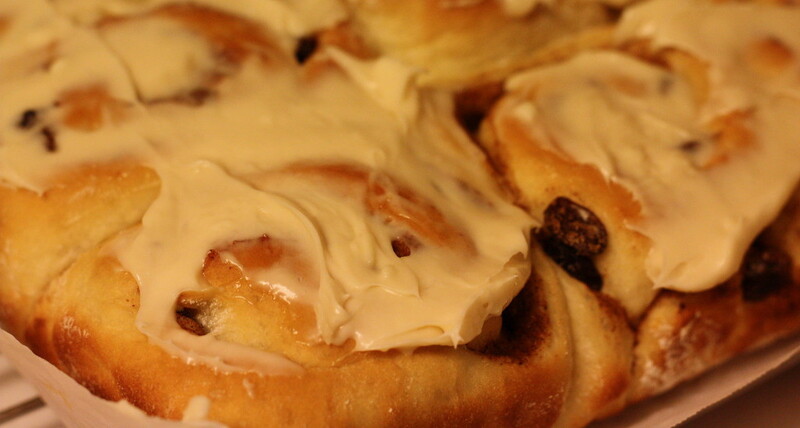 So I was on a quest to develop a great cinnamon potato roll recipe. I think this is it! 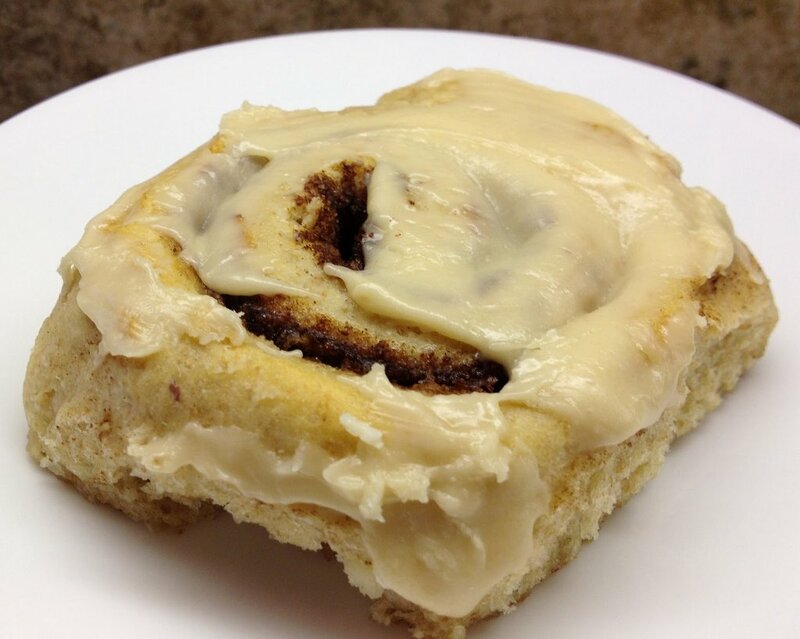 Since it’s hard to believe that potatoes can be good inside cinnamon rolls, take a listen to “This Can’t Be Love” sung by Nat King Cole. Put yeast, ¼ cup warm water, and 1 tablespoon sugar in a medium bowl. Stir. Set aside until frothy. Bring to a boil remaining ½ cup water in medium saucepan over medium heat. Add potato flakes. Stir. In a large mixing bowl, put potato mixture, milk, salt, and butter. Stir until butter is melted. Add yeast mixture and egg. Beat on low with electric mixer. Add 3 cups of flour, one at a time. Mix after each addition. Add remaining ¼ cup flour and knead by hand for 2 minutes or until dough is soft but not sticky. Cover dough with plastic wrap. Let dough rise in mixing bowl until double, for about an hour. On a lightly floured surface, gently press dough into a 15”x8” rectangle. Combine in a small bowl, brown sugar, cinnamon, nutmeg, and flour. Drizzle whipping cream over dough. Spread to the edges of the dough with the back of a large spoon. Sprinkle sugar mixture over dough. Roll up dough lengthwise. Cutting with a bench scraper, cut into 12 equal slices. Line with parchment paper, then spray with vegetable spray a 13”x9” baking pan. Place rolls cut side down. Cover with plastic wrap. Let rolls rise for 35 minutes. Cool on rack. Lifting rolls out of pan by the edges of the parchment paper, remove rolls from pan to cool completely on a rack. In a medium bowl, using a large spatula scraper stir or paddle the cream cheese until there are no lumps. Add butter. Stir to combine. Add confectioner’s sugar. Stir until thick. Add vanilla and heavy whipping cream. Stir until smooth and creamy.